Don't want to cook tonight? You don't have to! 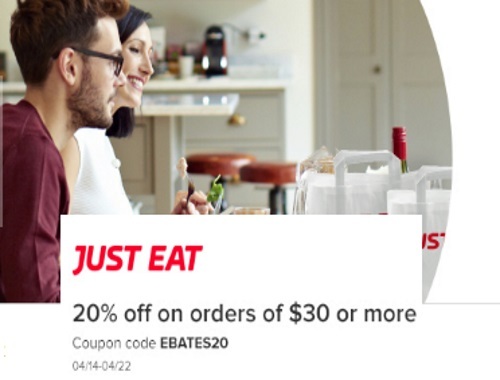 JustEat has teamed up with Ebates for a 20% off promo code on orders of $30 or more! Enter the promo code EBATES20 to get the discount. Offer ends April 22, 2017. Not an Ebates member yet? Sign up here.